Do Hedge Funds Love The Liberty SiriusXM Group (LSXMK)? Is The Liberty SiriusXM Group (NASDAQ:LSXMK) a great investment now? The best stock pickers are in an optimistic mood. The number of bullish hedge fund bets went up by 4 recently. Our calculations also showed that LSXMK isn’t among the 30 most popular stocks among hedge funds. To most investors, hedge funds are assumed to be underperforming, old investment vehicles of years past. While there are over 8,000 funds in operation at present, Our researchers look at the aristocrats of this group, approximately 700 funds. These investment experts orchestrate bulk of all hedge funds’ total capital, and by observing their finest equity investments, Insider Monkey has uncovered various investment strategies that have historically outrun Mr. Market. Insider Monkey’s flagship hedge fund strategy defeated the S&P 500 index by 6 percentage points a year since its inception in May 2014 through early November 2018. We were able to generate large returns even by identifying short candidates. Our portfolio of short stocks lost 24% since February 2017 (through December 3rd) even though the market was up nearly 23% during the same period. We just shared a list of 11 short targets in our latest quarterly update. Let’s go over the new hedge fund action encompassing The Liberty SiriusXM Group (NASDAQ:LSXMK). What does the smart money think about The Liberty SiriusXM Group (NASDAQ:LSXMK)? Heading into the fourth quarter of 2018, a total of 48 of the hedge funds tracked by Insider Monkey held long positions in this stock, a change of 9% from the previous quarter. 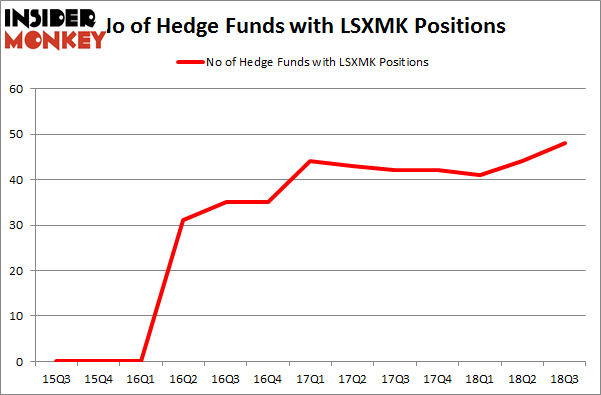 By comparison, 42 hedge funds held shares or bullish call options in LSXMK heading into this year. With hedge funds’ capital changing hands, there exists an “upper tier” of notable hedge fund managers who were upping their stakes considerably (or already accumulated large positions). 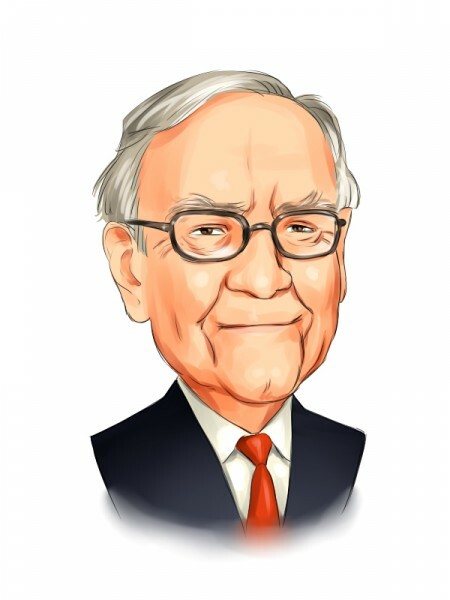 More specifically, Berkshire Hathaway was the largest shareholder of The Liberty SiriusXM Group (NASDAQ:LSXMK), with a stake worth $1350.9 million reported as of the end of September. Trailing Berkshire Hathaway was FPR Partners, which amassed a stake valued at $321 million. D E Shaw, Kensico Capital, and Horizon Asset Management were also very fond of the stock, giving the stock large weights in their portfolios. As industrywide interest jumped, specific money managers were leading the bulls’ herd. Newtyn Management, managed by Noah Levy and Eugene Dozortsev, established the most outsized position in The Liberty SiriusXM Group (NASDAQ:LSXMK). Newtyn Management had $11.2 million invested in the company at the end of the quarter. Malcolm Fairbairn’s Ascend Capital also made a $8 million investment in the stock during the quarter. The other funds with new positions in the stock are Jaime Sterne’s Skye Global Management, Sander Gerber’s Hudson Bay Capital Management, and Peter Rathjens, Bruce Clarke and John Campbell’s Arrowstreet Capital. Let’s now take a look at hedge fund activity in other stocks – not necessarily in the same industry as The Liberty SiriusXM Group (NASDAQ:LSXMK) but similarly valued. We will take a look at Xylem Inc (NYSE:XYL), TechnipFMC plc (NYSE:FTI), Nasdaq, Inc. (NASDAQ:NDAQ), and Apollo Global Management LLC (NYSE:APO). This group of stocks’ market values are similar to LSXMK’s market value. As you can see these stocks had an average of 21.25 hedge funds with bullish positions and the average amount invested in these stocks was $744 million. That figure was $3.32 billion in LSXMK’s case. TechnipFMC plc (NYSE:FTI) is the most popular stock in this table. On the other hand Xylem Inc (NYSE:XYL) is the least popular one with only 20 bullish hedge fund positions. Compared to these stocks The Liberty SiriusXM Group (NASDAQ:LSXMK) is more popular among hedge funds. Considering that hedge funds are fond of this stock in relation to its market cap peers, it may be a good idea to analyze it in detail and potentially include it in your portfolio.